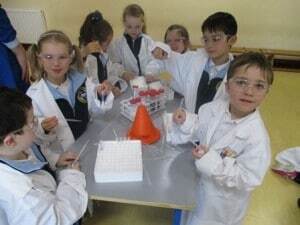 We had so much fun during Science Week. We loved going to the hall and figuring out which foods were healthy and unhealthy , with the scientists. We also did an experiment back in our classroom. We made predictions, conducted the experiment and recorded our findings. It was really fun watching it explode. Take a look at our photographs here.